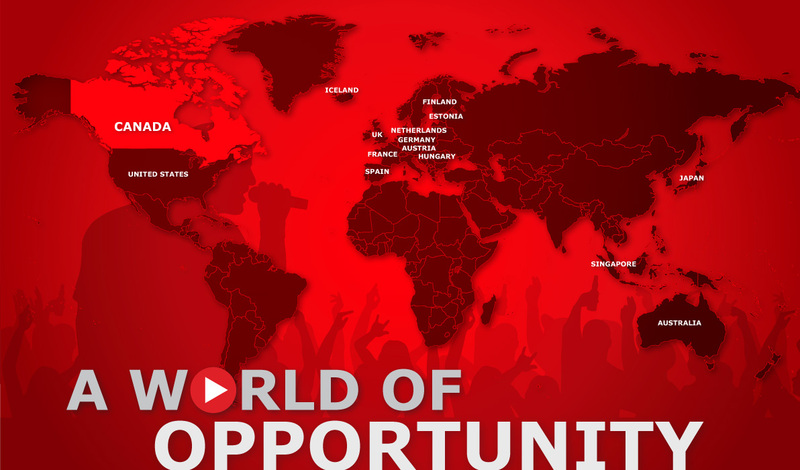 Select a country to explore music markets. The Folk Music Ontario conference has revealed its dates for the 2019 edition! The conference will be held at the Hilton Toronto Airport Hotel and Suites in 2019 from September 27-29. Registration for the 2019 conference will open on March 1. MusicOntario will once again be running events throughout Indie Week Canada this year from November 7-9 in Toronto, ON. On Wednesday, November 7 MusicOntario will be presenting a panel, Drafting the Right Team for Success, at The Garrison from 1:00PM-1:45PM. On Friday, November 9, MusicOntario will be presenting a Barriers and Solutions in the Music Biz panel at The Hideout from 3:00PM-3:45PM. An evening of showcases will kick off with the Focus on Francophone Showcase at the Garrison from 5:00-8:00PM. This will be followed by a Focus on Queer Artists Showcase from 8:00PM until LATE. The Community School Touring Program has announced that it is now accepting tour proposals from performers for the 2018-2019 school year. All performance arts are welcome including music, theatre and dance. Performers can apply for five different tour routes within the territory. Applications should include a description of the performance, a list of performers, preferred tour route and means of travel, as well as a detailed budget. Music BC Industry Association is pleased to announce the Let’s Hear It! Concert Series at The Fox Cabaret. The concert series will take place over 6 dates in 2018 and 2019. Artists from all genres and all regions across BC are encouraged to apply and submissions intake will be ongoing until May 10th, 2019, with three different artists being selected by a jury of local industry tastemakers for each showcase night. Music and Film in Motion have announced the official opening of the submission period for the 2019 Northern Ontario Music and Film Awards (NOMFA). From now until January 11, 2019,MFM invites eligible applicants to submit film, TV and music projects that have been released commercially between January 1 2017 and December 31 2018. Applications are now open for Canadian Music Week 2019! This gives artists the chance to perform in front of top industry insiders from Canada and around the world. Talent buyers, booking agents, festival programmers, music publishers, managers and more will be in attendance. Submissions are now open for the “East Meets West” spotlight presented by ECMA and BreakOut West during the 2019 edition of the East Coast Music Awards: Festival and Conference. The 31st annual celebration will take place in Charlottetown, Prince Edward Island from May 1-5, 2019. Two export-ready BreakOut West artists/groups will be selected for two showcase performances at the 2019 ECMAs. Artists of all genres are encouraged to submit via the form below. Applications are now open for showcasing during jazzahead! 2019. Registered exhibitors, co-exhibitors and professional participants (all days) are now encouraged to apply for one of the slots at the international branch meeting. The showcase program will be selected by international juries. The deadline for applications is November 22, 2018. Applications are now open for the 2019 edition of The Great Escape festival in Brighton, UK. The call out is open to all artists including bands, singer-songwriters, DJs, collectives, duos at more. All submissions will be reviewed by TGE’s booking team and those artists chosen to perform will be contacted directly over the coming months. CIMA will not be holding an official Canadian Blast showcase at Folk Alliance International in Montreal this February. Instead, we will be focusing on several business events (one-on-ones, roundtable sessions, networking reception) for participating Canadian delegates. More information can be found on CIMA’s website later this month.